On this cold, overcast afternoon I walked south on Dundas toward Roncesvalles, skipped the Polish Festival, and headed for the clutch of galleries on Morrow Street. Gerald Ferguson paintings are on exhibit at the Olga Korper Gallery. 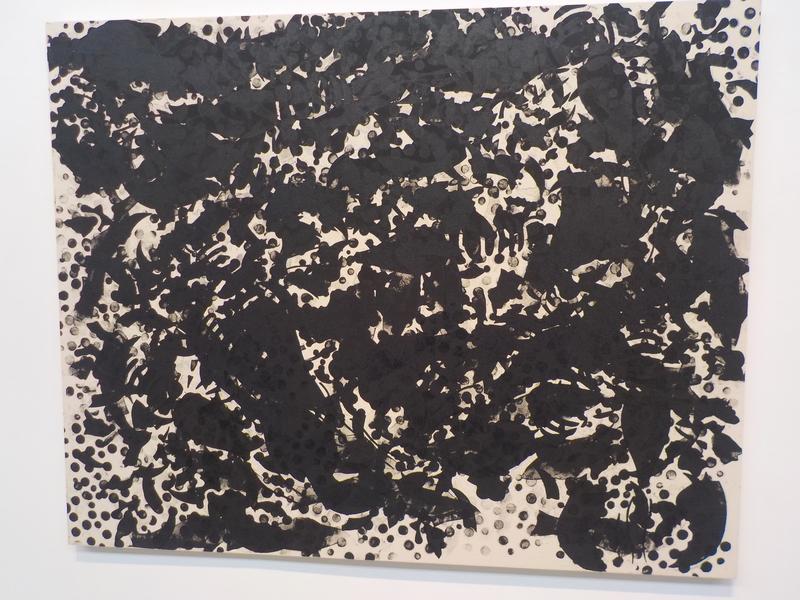 This artist taught at the Nova Scotia College of Art & Design (NSCAD) from 1968 to 2004 and his work embodies the cool, dispassionate aesthetic that defined the school as the nexus of Conceptual Art. These are paintings in which the idea is paramount and the actual framed objects are merely resulting detritus. Composition, allusion, color, form, symbol were all rigorously ignored, and yet, the paintings are entirely contemporary, powerful and complex. 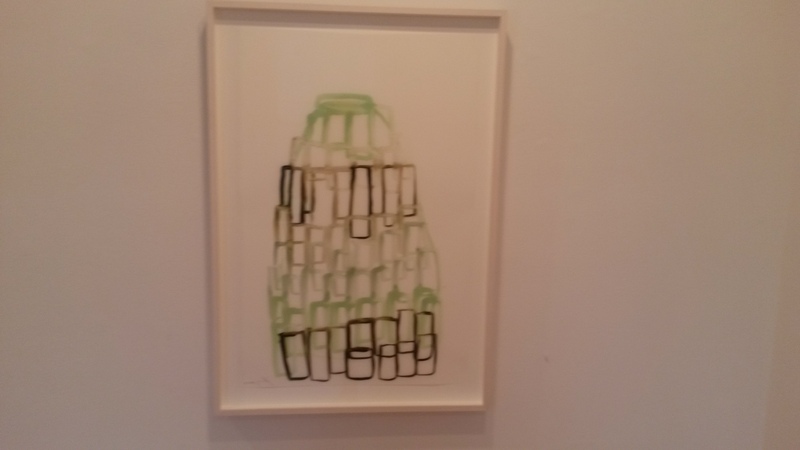 I particularly liked seeing the “Dropcloth” paintings. Gerry picked up dropcloths strewn around the worksite of commercial painters. He then had them framed and stretched. They are subtle and suggestive, like a Cy Twombly or maybe even a Jackson Pollack…but wait a minute, they are dropcloths! The idea lingers, inhabiting a sensuous formality, but it remains pure. This show is particularly successful in its display of the range of work as it skips through various decades and series to give a sense of the breadth he achieved. Using frottage, rollers, stencils, found objects, spray paint and various mundane, utilitarian objects he never flinched in exploring and manifesting the concepts that appealed to him. 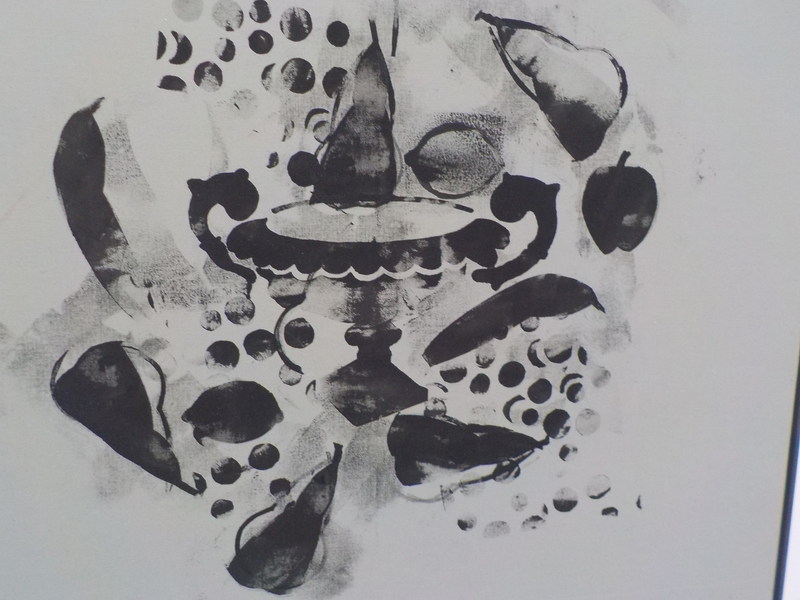 Below is a snapshot of Gerry Ferguson’s take on still life: a stenciled urn and rubbing of cast iron fruit. Gerald Ferguson died in 2008. This was a great loss for the Halifax art community and his friends, colleagues and former students everywhere. Gerry was a true artist and a catalyst for so many. The multi-media artist Simone Jones was standing outside the Gallery. It was her work that was on display and she looked a little uneasy. She warned me as I was about to enter that it was very dark and could be disorienting. She was right. 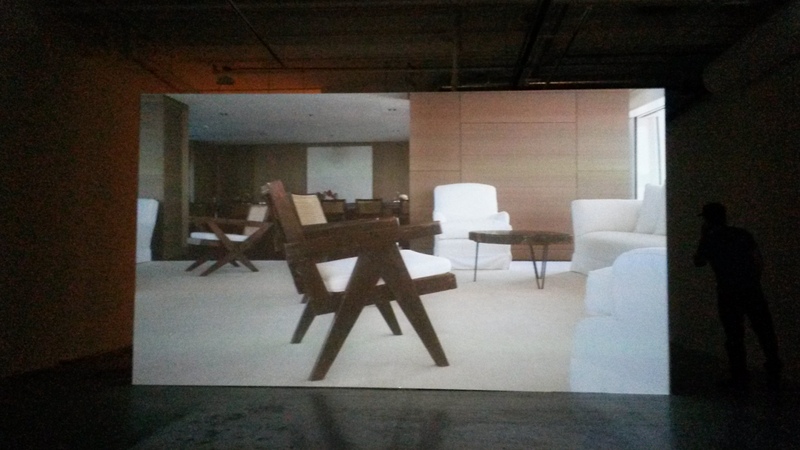 The large gallery was divided in half and each half was displaying a large screen format video. On one side, in the center of the space, there was a low-to-the-ground robotic ramp on which the video projector slowly travelled backwards and forwards in relation to the projected image. Definitely a tripping hazard. This piece, for all the imposition for the audience and difficulty in presentation, was strangely lacking in ambition. I assume this artist will go on to develop more deeply the ideas she has hinted at here. On the other hand, bravo to Christopher Cutts Gallery for supporting her and showing the piece. A Gallery is a business just like any other. 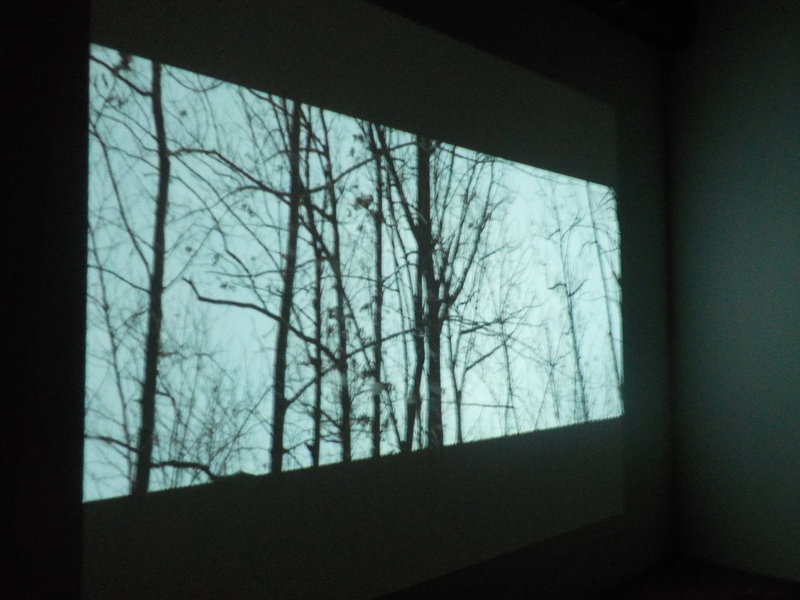 How a media installation will generate revenue for this gallery is as mysterious to me as the death of Tom Thompson. 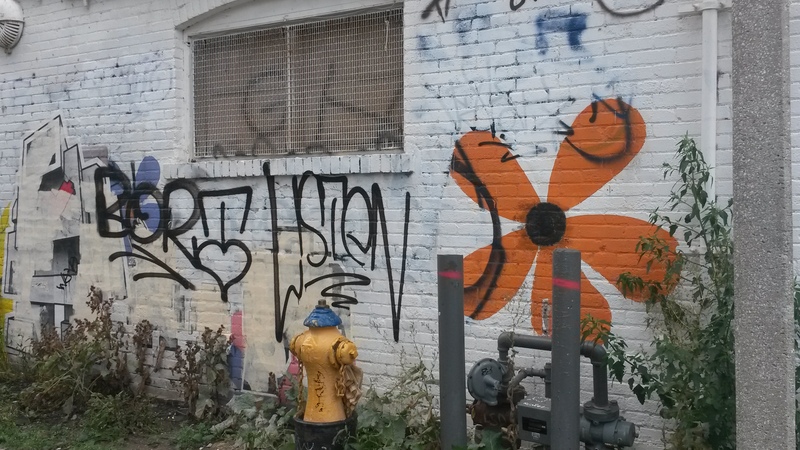 The purpose of this blog is to write about Art in Toronto. What’s going on in art in Toronto right now? I intend to start this project by taking a walk every Saturday, visiting some galleries, taking a few pictures and recording my impressions and thoughts here. I am not sure where this project will take me. Galleries might be just the beginning. I admit I don’t know where the art scene is at this time. One thing I definitely want to do is to get some dialogue going and invite others to write about art in Toronto. 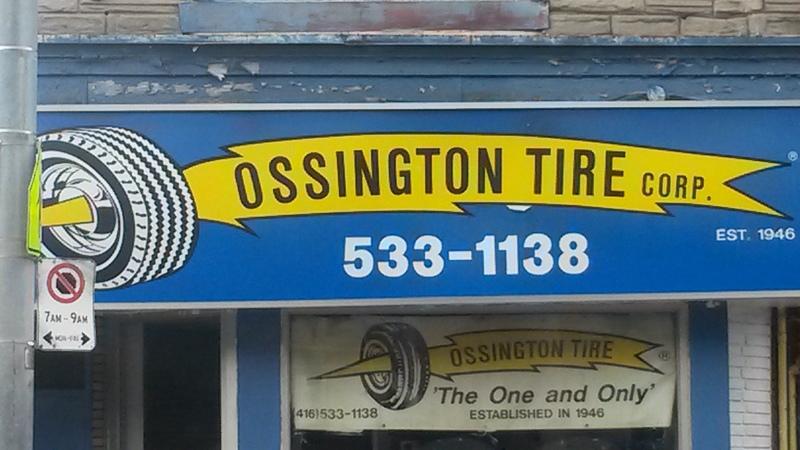 On Saturday, September 6th, I walked down Ossington Street. It felt like the last breath of a short, cool summer. The street was lively and colorful. 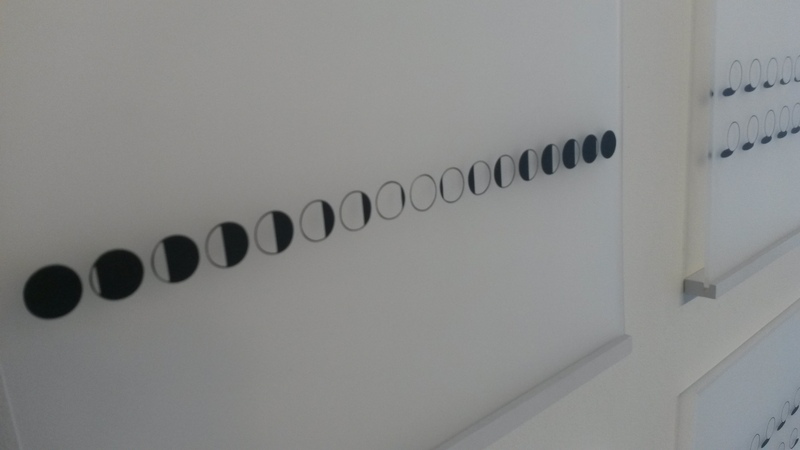 Callum Schuster’s exhibition is all about limits: He uses only the sphere and only in black and white. Any evidence of the human hand has been expunged from the work. Numerous spheres were created in various media. 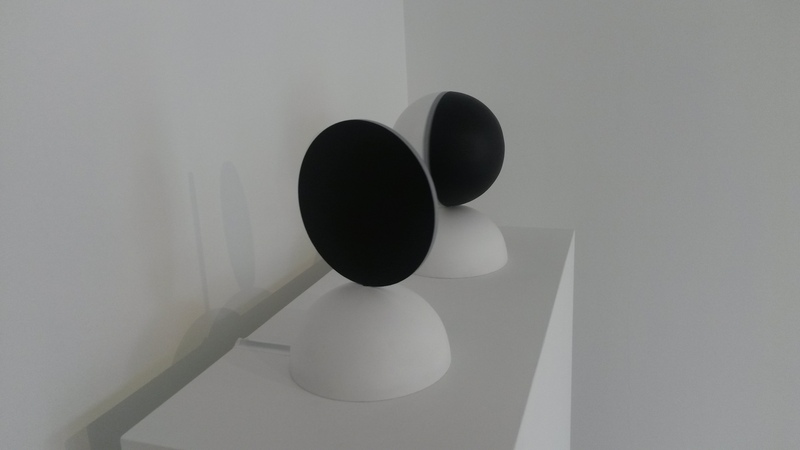 Each sphere is divided in half: one half a dense matte black and the other half dazzling matte white. The sphere’s were twirling, white sphere’s becoming black spheres, they were lined up, tilted, embedded in frosted plexiglass, some larger, some smaller, all extremely controlled, modulated, calm. The artist made animated films and sculptures of black and white spheres spinning in the same steady, controlled way. The work had the feel of an architectural or maybe mathematical model; pristine, artfully constructed, and indeed, the artist has stated he is interested in measurement. It is dry, cool, extremely clean – bordering on obsessively clean – work. The tall, elegant co-director of O’Born Contemporary, Rachel Anne Farquharson, was very gracious. I scanned the artist’s statement and asked her what is the meaning of “praxis.” (The context was the “praxis of painting.”) She told me it means “practice” in Greek. I didn’t know what to make of that and she looked a little sheepish. She mentioned the artist’s cleanliness, obsessiveness, tidyness etc. and has also been quite taken with his intelligence. The overwhelming sense of this show is how removed the work is from the anything that’s going on just outside the white gallery cube. I can relate to that specific focus and can understand that someone might not want to even read a newspaper in the ghastly summer of 2014. I really like Jamie Angell. He is truly an art enthusiast, and noone can work a room like him. Jamie’s main artist, i.e. the one that keeps the gallery financially solvent, is Kim Dorland but Jamie takes risks on all kinds of other artists and always has something unusual to look at. The current show in the large gallery is by Daniel Hutchinson. What do you know? This artist is all about limits and is extremely intelligent! This is what the lovely young gallery assistant told me. I’m detecting a trend. Daniel is interested in cosmology, dark matter and various themes from contemporary physics. In the statement heavy hitters like Malevich and Ad Reinhardt are referenced. Clearly Daniel Hutchinson is a serious and ambitious painter. Incidently, this morning on CBC a scientist was talking about the Higgs boson particle. I knew it was a big deal to find this particle but I was not really sure why. According to the scientist this is a happy story because it means we are not surrounded by a lonely vacuum as was previously surmised. We are in a soup of matter and the discovery of the Higgs boson proves it. This particle is the building block of everything, hence, it is called the “God Particle.” The details are a little hazy for me but as Daniel Hutchinson seems to suggest aspects of physics such as the Higgs boson are mysterious and compelling and provide rich inspiration for visual art. 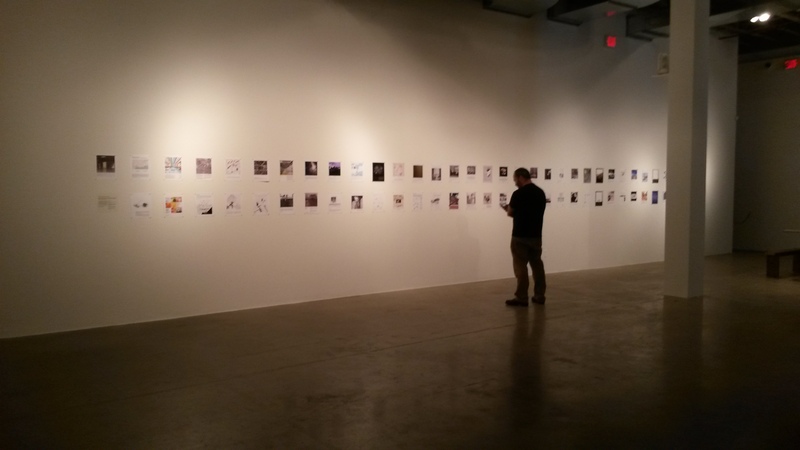 Also in the main space was an exhibition called TBD which is focused on reimaging the Museum. It consisted of numerous ideas for exploding the conventional museum and dispersing the contents in inventive, original ways. The ideas are so amusing: Think of the possibility of a temporary museum in the construction hoardings around new buildings. There was lots of standing around reading at MOCCA, which doesn’t really work for me. A certain amount of reading is okay but maybe this exhibition should have been a magazine or a book? 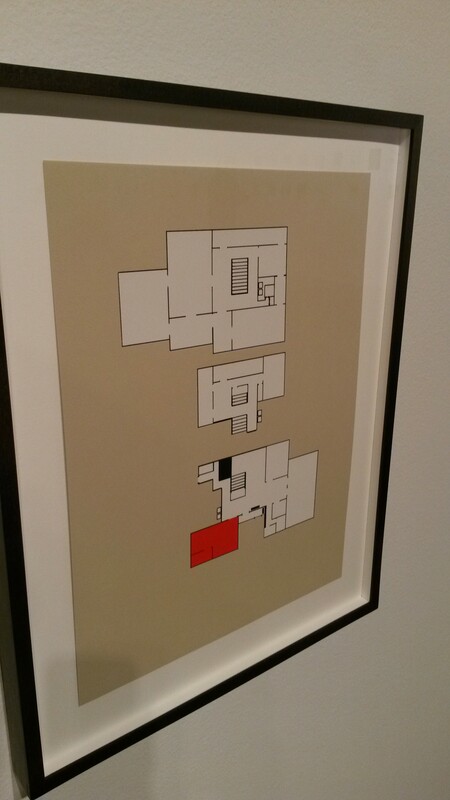 The prints of Museum floorplans were stylish objects and they would definitely look good in a corporate boardroom. Sometimes MOCCA’s installations are so subtle that I just miss them totally. 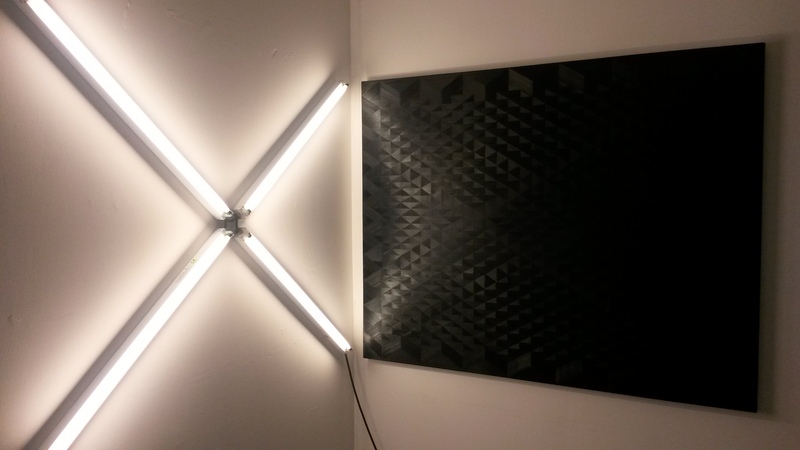 Apparently there is a sound installation by Mark Soo currently on display. It’s called “House is a Feeling” but I couldn’t really get a beat on it even though I was wandering in the main gallery for 10 minutes or so. How I missed it I do not know. 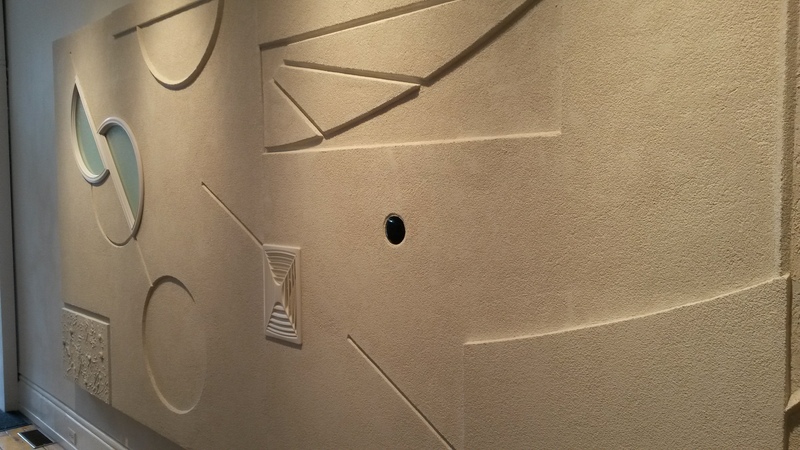 Maybe that installation had something to do with the intermittent drilling that finally drove me out of there and into the adjoining exhibition. 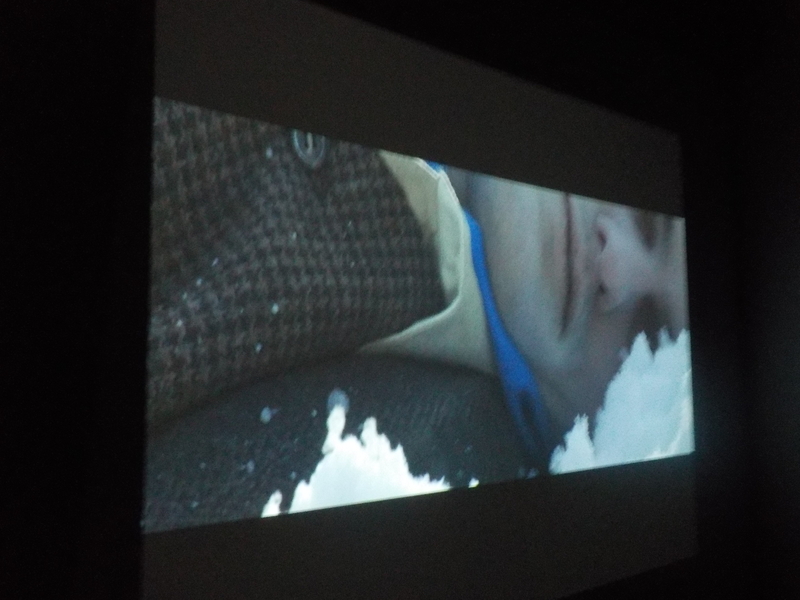 The highlight of the MOCCA visit for me was the 2013 film entitled “Provenance” by Amie Siegel. 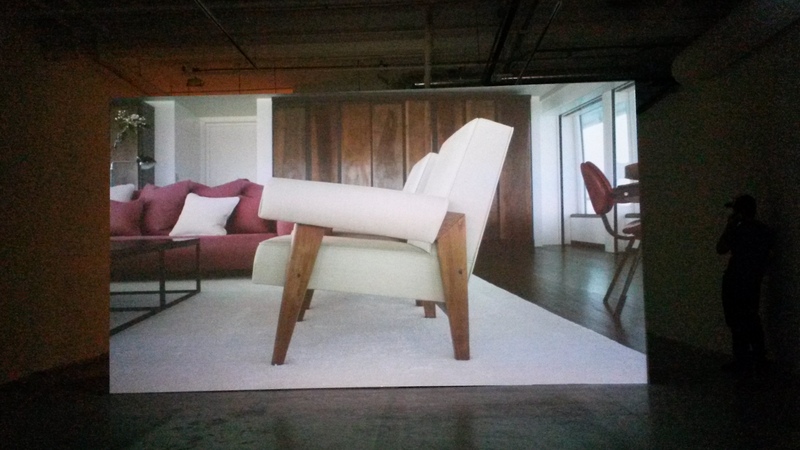 The piece explores the fetishism around certain mid-century modernist furniture. In this case, chairs and other items designed by Le Corbusier and Pierre Jeanneret are documented being packed up, travelling across the ocean, expertly marketed and sold for hefty prices, eventually to take their places in a succession of glamorous contemporary settings. These objects turn up in all the right places and they seem to become more beautiful and desirable as the film progresses, invariably captured in slow tracking shots in a muted palette as the context screams Understatement! Taste! Money! The back story on these chairs is so interesting. Chandigarh is a city in India designed by Le Corbusier and Pierre Jenneret in the middle of the last century. This furniture is apparently the everyday office chairs and desks that the inhabitants of this dreamed up city would use. The downstairs gallery features an exhibition by Morley Shayuk. I would like to get to know this artist and ask him to accompany me to Home Depot or Rona sometime. He seems to really know his way around hardware and building materials. He creates massive wall reliefs incorporating all the latest polymer variants. They have a kind of off-hand grandeur and would have looked great in the (now bulldozed) former Winnipeg International Airport. Upstairs was an arresting show by Shelagh Keeley. 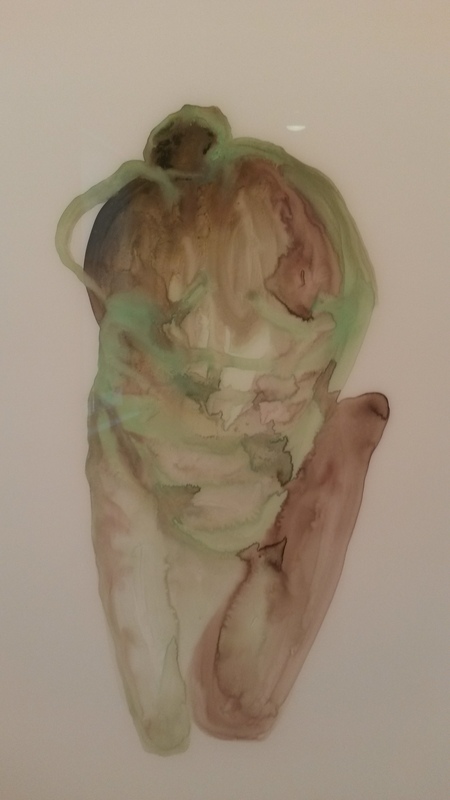 What I really liked about her paintings (on mylar) was their uncomplicated sophistication. No handout required: It is all there in the paintings. They are lush, meditative, succinct and that works for me. Clotilda was texting me to meet her at Starbucks. 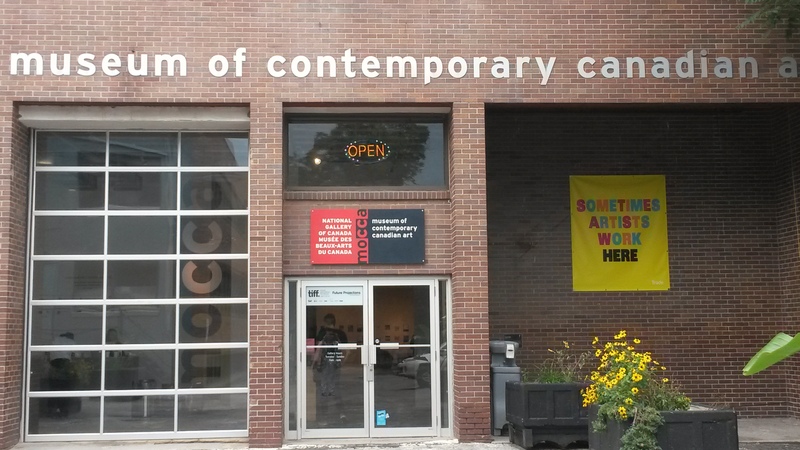 I concluded my first Toronto art blog walk with a good feeling of calm and optimism.